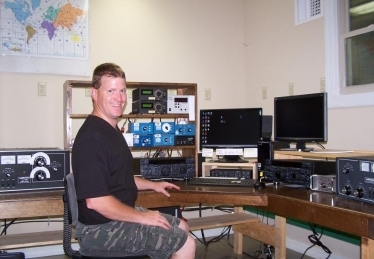 Amateur Radio Station W5WZ – Ham Radio is Fun! Enjoying it since 1997! This is a work in progress. In these pages, I hope to provide visitors with an overview of my hamradio interests as well as the progress and evolution of my station. I fully believe that a well-engineered station will provide higher performance and more rewarding operating experiences. Additionally, the exercise of designing, building, maintaining and improving the station will increase the technical knowledge and hands-on abilities of the amateur who pursues such a task. 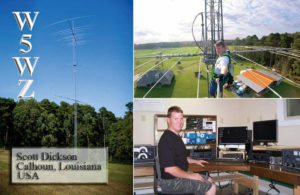 Herein readers will learn of my approach to the design challenges and implementation as I strive to build and maintain a high-performance amateur radio station geared toward contesting. The credit for most of the ideas incorporated in my station belongs to others who are far more technically advanced and skilled than I am. Rather, I have “stood on the shoulders of giants and taken the next step.” For me, summoning the courage to take the next step was of paramount importance. Now my confidence is beginning to grow, and that alone has enabled me to expand the limits of what I though was possible for me to accomplish. All logs are uploaded to LOTW. 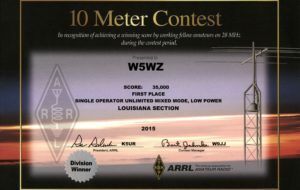 All logs are uploaded to LoTW within a few weeks of the QSO. DIRECT STATESIDE: Request direct via W5WZ with SASE or $1 US. 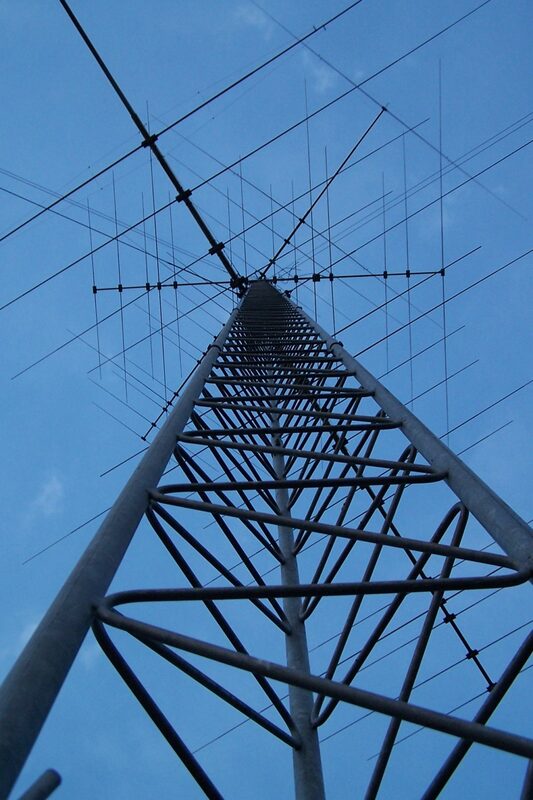 DIRECT DX: Request direct via W5WZ with SASE or $2 US. I’ll reply the same way. Bureau mailings go out approximately every 6 months. Hams love aluminum! This arrived for me on Valentines Day! Force 12 mono-band yagi for 17 meters5 elements on a 30 foot boom Super excited to get it assembled and up on a tower! 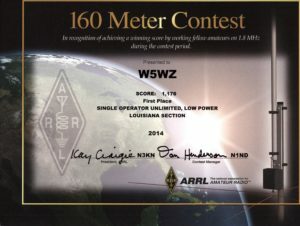 Contesting is an activity where amateur radio stations attempt to make as many two-way contacts with other stations as possible, following certain defined parameters of the competition, to maximize a score.